Today around the country over 8,000 schools will participate in the national Day of Silence, a day of action in which students vow to take a form of silence to call attention to the silencing effect of anti-LGBT bullying and harassment in schools. Although it has only be in operation for 16 short years, the Day of Silence has become the largest single student-led action towards creating safer schools for all, regardless of sexual orientation, gender identity or gender expression. Could you be quiet for a whole day for a good cause? Founded in 1996 by students at the University of Virginia, and currently officially sponsored in K-12 schools by GLSEN, the Day of Silence is the largest student-led action to protest the bullying and harassment of LGBT people and their allies. The first Day of Silence was a small success, garnering some positive press attention. The next year the event grew to include 200 UVA students and more than 100 colleges and universities across the US. Two years later, high schools became involved, and in 2000 the Gay, Lesbian, Straight Education Network (GLSEN) became the official sponsor of the event. In 2008 over 8,000 high schools, colleges and universities took part in the action. The Day of Silence helps all schools by providing resources to schools on how they can take simple steps to stop harassment within their own walls. Information is provided about adopting an anti-bullying policy, curriculum that addresses LGBT issues and tolerance and training teachers and staff to better deal with bullying when they see it. Through “Breaking the Silence events,” which are typically held at the end of the school day, students can speak out against harassment and demand change for their schools and communities. • More than 3 times as likely to engage in unprotected sexual behaviors that put them at increased risk for HIV and other sexually transmitted infections. • Gay teens in U.S. schools are often subjected to such intense bullying that they’re unable to receive an adequate education. They’re often embarrassed or ashamed of being targeted and may not report the abuse. • LGBT students are more apt to skip school due to the fear, threats, and property vandalism directed at them. One survey revealed that 22 percent of gay respondents had skipped school in the past month because they felt unsafe there. • Twenty-eight percent of gay students will drop out of school. This is more than three times the national average for heterosexual students. • LGBT youth feel they have nowhere to turn. According to several surveys, four out of five gay and lesbian students say they don’t know one supportive adult at school. Unfortunately, a day like this doesn’t come without its critics. Several family advocacy groups say the Day of Silence is politicizing the classroom and indoctrinating students. One of the most outspoken groups is Liberty Counsel who is calling on parents to pull their children from school on the Day of Silence. Sounds like they are supporting bullying and Harassment. GLSEN tries to prepare students for the negative reactions and wants to make sure that the Day of Silence is a respectful day. They have published four things all students should know about the event. The last one addresses students who oppose Day of Silence. Students who oppose the Day of Silence DO have the right to express their views, too. Like you, they must do so in a civil, peaceful way and they only have a right to do so during non-instructional time. For example, they don’t have a right to skip school on Day of Silence without any consequences, just as you don’t have a right to skip school just because you don’t like what they think or say. GLSEN – The Gay, Lesbian and Straight Education Network strives to assure that each member of every school community is valued and respected regardless of sexual orientation or gender identity/expression. 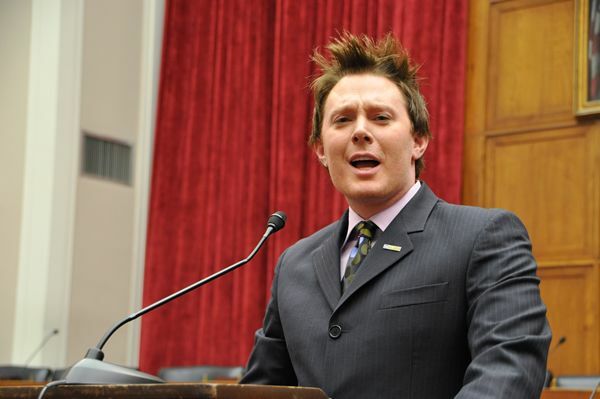 I am so proud that Clay Aiken is a spokesperson and supporter of GLSEN. More than 20,000 students are registered and hundreds of thousands more will participate at middle schools, high schools and colleges from every state in the country in GLSEN’s National Day of Silence. Please support this event. We all deserve to live in respect and dignity, free from violence and hate. Stopping bullying, violence, harassment and discrimination should be something that all of us can agree with, and all of us should work towards. I so agree with GLSEN's Day of Silence. These children have a right to go to school without being harassed because of sexual preferences. 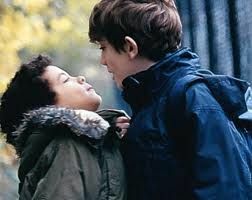 Bullying is no fun for anyone. A free and loving atmosphere is what we need in our schools. I am also very proud of Clay, as he has stood up for these children through GLSEN. I completely support this event. What a great way to support a great cause. I on the other hand can't imagine not speaking for a whole day! I am a chatterbox! I am a supporter regardless! I've never heard of "Day of Silence" before, so thank you musicfan for bringing it to our attention! Yes, I do support this event, everyone has a right to be who they are, it's so sad that they are harassed and ridiculed, it's certainly not very Christian like or whatever their religion is, we are all different but children of God, God bless you for speaking out, keep up the good work. Thank you once again! I love the pictures and our information is, as always, superb and fair. It always shocks and saddens me that adults can actually advocate the harassment of children, all in the name of pushing their agenda on the public. The number of students participating gives me hope for the future – a future where intolerance and hatred are unacceptable. I am so glad that Clay supports GLSEN. I admire the love and support they give to ALL kids. Bullying is a huge problem and everyone needs to step up. Thank you for all the information. I always love articles about Clay, but I love others too that give me great information. Thank You! Error: Error validating access token: Session has expired on Tuesday, 21-Aug-18 16:13:01 PDT. The current time is Monday, 22-Apr-19 07:02:42 PDT.